John is the Managing Partner for Float Mobile Learning. He has over 18 years of experience in helping clients change to be more successful and helping those clients navigate those changes. 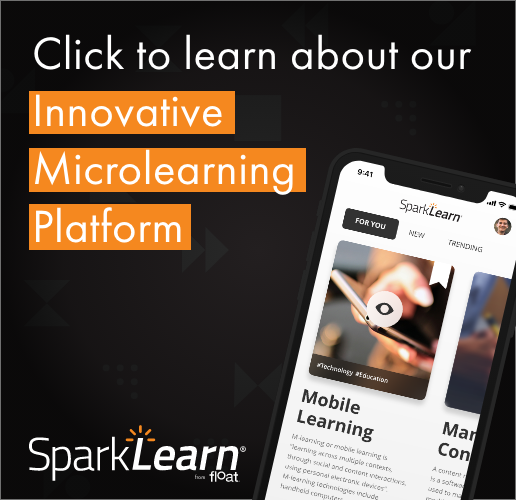 He works with Fortune 500 organizations to help them define and design learning strategies with a focus on mobile learning. His client list includes Caterpillar, Anheuser-Busch, Museum of Science and Industry and Pioneer Hi-Bred, a subsidiary of DuPont. John is a member of both the E-Learning Guild and ASTD where he is active in speaking about both eLearning and mobile learning topics. John Feser talks about the role of performance support, unique affordances of mobile and user-generated content in mobile learning. Corporate executives face an ever-mobile workforce. Read why they should care about how their employees can learn everywhere, on the go, and when they need to. This month's issue of the Float Newsletter focuses on a type of game that is well suited for mobile learning, the Alternative Reality Game.